Home > Credit Score > Will Cosigning Hurt My Credit? Will Cosigning Hurt My Credit? If you’ve ever been asked by a friend or family member to cosign on a loan, you might have wondered whether it could hurt your credit. This is a very important question to ask, and it’s a decision you have to weigh carefully, as the effect of cosigning a loan can vary with each situation. In a strict sense, the answer is no. 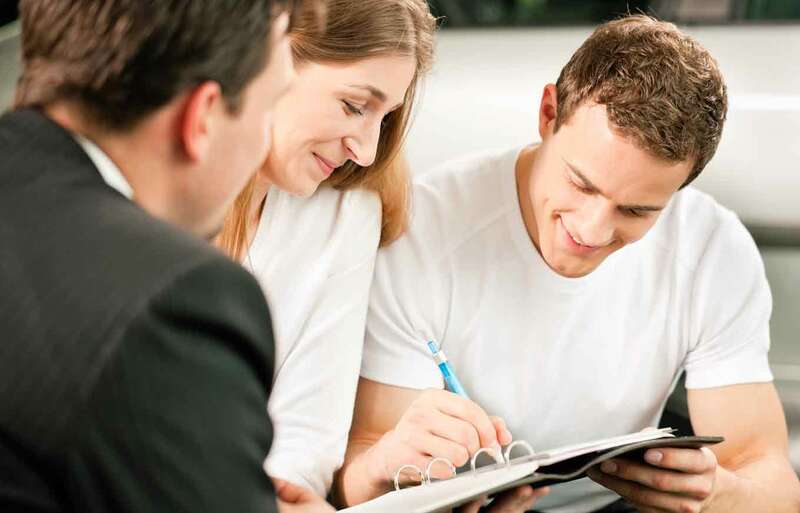 The fact that you are a cosigner in and of itself does not necessarily hurt your credit. However, even if the cosigned account is paid on time, the debt may affect your credit scores and revolving utilization, which could affect your ability to get a loan in the future. For example, let’s say the cosigned account is a credit card. If your friend carries a large balance, as the cosigner you may have lower credit scores because of the high revolving utilization of the cosigned account. In the sense that the cosigned account may give you a greater diversity of credit accounts (one of the components of credit scores), it’s actually possible that the cosigned account could help you get a loan in the future. For example, you would probably benefit if the cosigned account were a mortgage that is paid on-time every month. If you’re having trouble deciding whether to cosign, think about what likely effect the cosigned account will have on your credit scores. If you’re at all concerned about your friend or family member’s ability to pay, and are not in a position to cover all of his debt in the event that he starts defaulting, don’t cosign. It is best to only cosign with a close friend or relative that you know is trustworthy. Remember: The cosigned account will affect your credit report and scores no matter what because ultimately you are just as responsible for the debt as your friend or family member. If you are a cosigner on someone else’s account, it’s very important that you check your credit reports (you can get them for free once per year from each of the three major credit reporting agencies). And by monitoring your credit score regularly — which you can do for free once a month using Credit.com’s Credit Report Card — any unexpected changes in your score could point to potential problems with that account. By being aware of potential problems with the cosigned account, you’ll be better able to help prevent even greater damage to your credit. Credit.com is the only company of its kind to be founded and run by leading credit experts including journalists, authors and consumer advocates. We're committed to helping consumers understand and master the confusing world of credit and improve their financial standing by recommending products and actions that are in their best interest. If I cosign for an auto loan for my husband, am I accountable for any other financial concerns regarding him be it prior or future ‘beyond those directly related to this specific cosigned auto loan’? State of Indiana..
Not that we are aware of. Indiana follows equitable distribution rules. it is not a community property state.